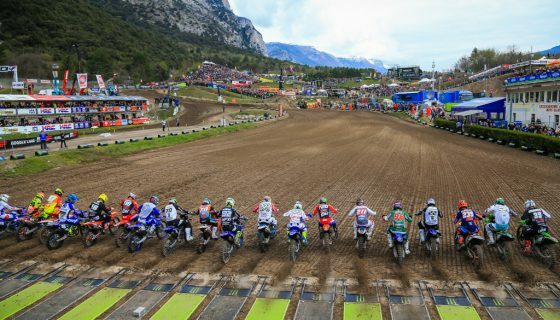 The 2018 FIM Motocross World Championship season is upon us and set to start at the beloved circuit of Patagonia-Argentina this weekend. Villa La Angostura, Neuquen Province will once again host the MXGP series but for the first time ever the picturesque region with crystal clear lakes and towering mountain peaks will open the season. It will be the first time this year that the riders of the MXGP and MX2 World Championships are to battle against one another. The rich volcanic soil of the Argentinian track will develop well throughout the weekend and will undoubtably get rough and technical challenging the world’s best riders and their off season preparation. Antonio Cairoli has also had a very strong off season and is looking fit and well prepared for 2018 and of course is one of the best the sport has ever seen with 9 world championships to his name, only 1 behind all time leader Stefan Everts, including his resurgence in 2017 after the two injury laden seasons prior. And yes, Jeffrey Herlings proved to be the man to beat once healthy in 2017 but both are just two of the many former champions present in the premier class. Romain Febvre, the 2015 MXGP World Champion will be aboard an all new YZ450F, comes off his 2017 Monster Energy FIM Motocross of Nations victory, and is hungry for wins after a disappointing 2017 season. Once again joining on the Monster Energy Yamaha Factory Racing machine is Jeremy Van Horebeek who placed 2nd overall in the 2017 visit in Argentina. Then you also must look at Febvre’s MXoN French teammate, the Rockstar Energy Husqvarna Factory Racing MXGP rider Gautier Paulin. Paulin showed not only that he is fast and consistent by finishing the 2017 MXGP season 3rd in the points but that he is fast enough to win after taking the 2017 MXGP of Europe overall. Both Paulin and Febvre are very capable of crashing the Herlings and Cairoli party many expect this year. The #99 of Max Anstie who will again be riding for the Rockstar Energy Husqvarna Factory Racing squad ended his 2017 on a high not with MXoN success and will look to keep that momentum going. Another name that has found his way to Argentina is the BOS GP hosted Evgeny Bobryshev. Bobryshev saw success here last year when he reached the podium even while feeling under the weather. If you consider all of those who have won a GP at one point or another then you are considering the near majority of the starting grid! The level of competition heading into the 2018 MXGP season is at an all time high full of veterans and young stars all fighting for the top spot. Monster Energy Kawasaki Racing Team will come into Argentina a mix of new with old as MXGP rookie Julien Lieber joins the factory effort alongside the strong Belgian, Clement Desalle. The same can also be said for the Wilvo Yamaha MXGP team who will have both the 2017 MX2 title contender, Jeremy Seewer, and returning MXGP veteran Shaun Simpson riding the new Yamaha 450. The Wilvo team is set to host three riders in 2018 but will miss Arnaud Tonus at the season start as he bounces back from an off season shoulder injury. 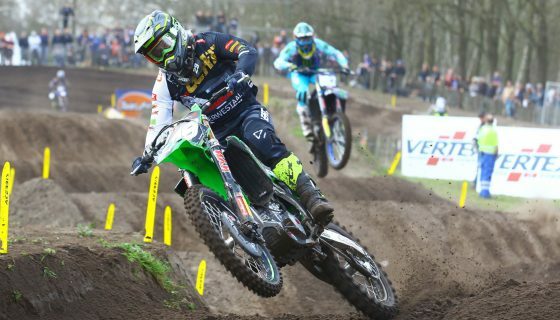 While the MXGP class is full of proven results the MX2 class is full of young talent. At the top of the list is without doubt the 2017 MX2 World Champion Red Bull KTM Factory Racing’s Pauls Jonass but with his main challenger from 2017, Jeremy Seewer, moving to the 450 ranks with his newfound Wilvo Yamaha team, the question now is who might challenge the reigning champ? 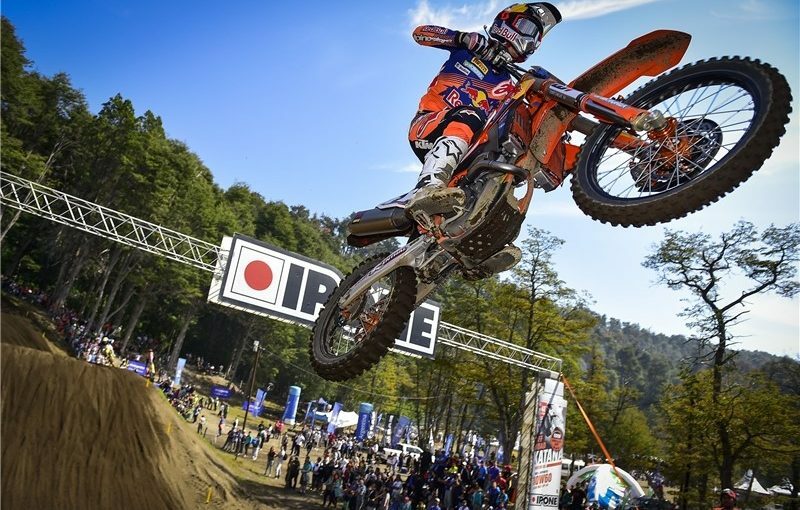 In reality you don’t have to look far, as a matter of fact his young Red Bull KTM Factory Racing teammate, Jorge Prado, is a likely GP winner especially after claiming his fair share of victories in 2017. Prado is the epitome of both youth and talent claiming his first win at the young age of 16. Jonass and Prado faced off here in 2017 and though the racing was clean Prado was never fazed or intimidated by Jonass. 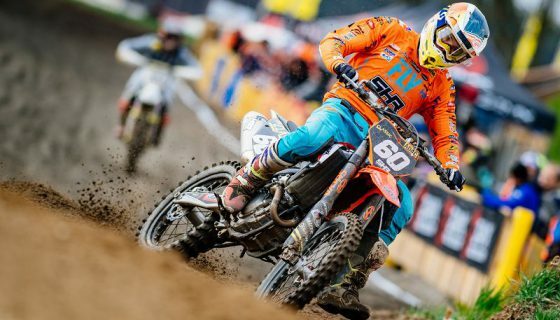 Thomas Kjer Olsen was also a rookie in 2017 but even so he was able to claim a victory as early as the MXGP of Latvia. Now with a year of experience under his belt the Rockstar Energy Husqvarna Factory Racing rider is on the short list of possible title contenders for the podium or even a win this weekend. Olsen’s teammate, the American, Thomas Covington is another name to toss in the mix after winning races each of the last two seasons. Covington showed some impeccable speed in 2017 but struggled to have 2 consistent races in the same sitting. The 2018 Team HRC MX2 recruit, Calvin Vlaanderen has been impressive in the off season on his new Honda and is surely confident in his pace to start the season. All new in 2018 is the Kemea Yamaha Official MX2 team, the three-rider squad has no returning rider but is full of talent. Ben Watson will be riding a Yamaha for the first time in his career alongside Vsevolod Brylakov, who returns from injury, and former EMX125 and Junior World Champion now MX2 rookie Jago Geerts. 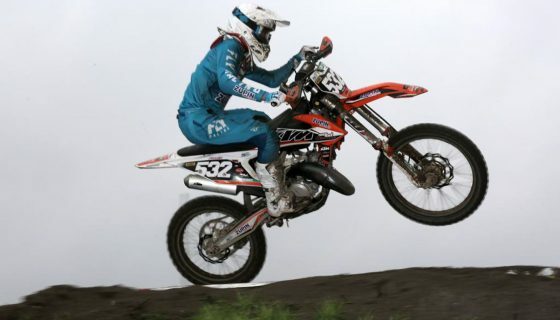 The charismatic Australian, Hunter Lawrence, he has found a new home riding a Honda for the new Livia Lancelot managed Team 114 alongside Bas Vaessen. 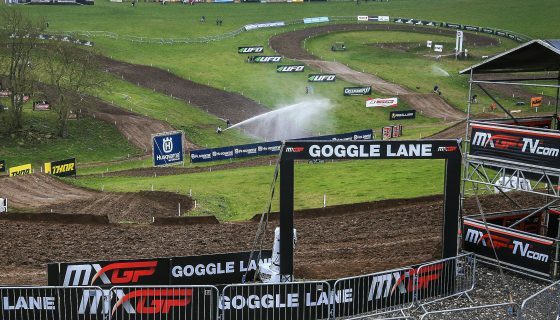 The Aussie showed amazing speed at the end of 2017 where he was even against top 450 riders on his underpowered 250 at Matterley Basin during the Monster Energy FIM Motocross of Nations presented by Fiat Professional. Both classes are full of new faces and teams from former EMX riders moving into MX2 to MX2 veterans trying their hand at MXGP. 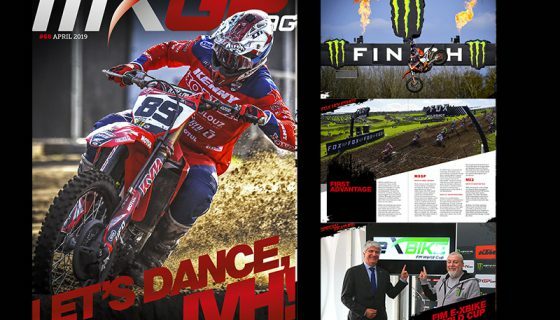 All of the factors considered will make the 2018 FIM Motocross World Championship season and the MXGP of Patagonia Argentina in particular unpredictable and exhilarating. Make sure not to miss any of the racing action by watching LIVE from Patagonia Argentina Saturday & Sunday. Every race including qualifying will be available LIVE and OnDemand on www.mxgp-tv.com.